Years of experience with SEO. Ranked tens of thousands of websites and pages with thousands of different clients. 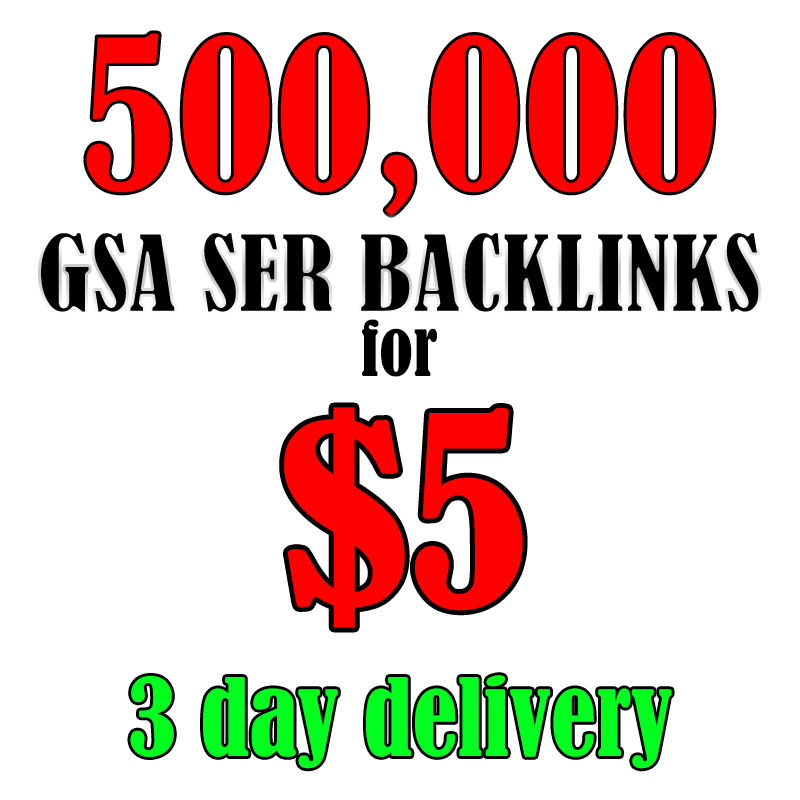 500,000 GSA SER Backlinks - Dofollow, Fast Ranking is ranked 5 out of 5. Based on 68 user reviews.